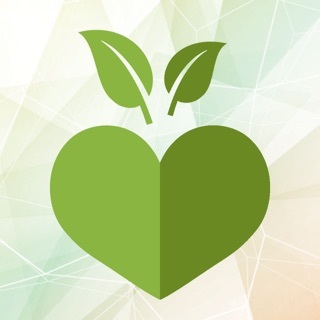 Is It Vegan is a tool for anyone interested in eliminating animal products from their diet. Whether the product is vegan, vegetarian, or neither. A summary classifying the list of ingredients. A detail list showing which ingredients are vegan, vegetarian, non-vegetarian, etc. And the original (unclassified) list of ingredients for the product. After putting each ingredient into a category, Is It Vegan then decides whether the product is suitable for a vegan or vegetarian diet. 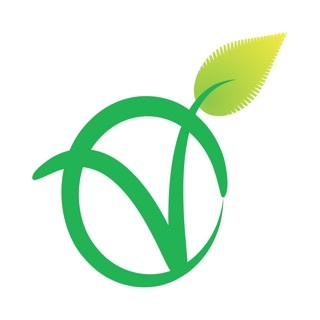 Is It Vegan has information on hundreds of thousands of food and beverage products and verifies each of them using a master list containing thousands of pre-classified ingredients. Users now have the option to upload products, making our database larger than ever! Notice: Data on products outside the USA is extremely limited at this time. For best results, please scan food products from the USA. iOS 6.0+ is required to use this app! This app needs to be updated very soon - it's starting to slow down my phone (iPhone 6) because it's not compatible with the current iOS. Other than that, it's excellent. The database isn't very large yet, but the app makes it easy to add products for review when an unknown product comes up. It also allows us to choose if sugar is vegetarian or vegan, which is a nice feature. After using the free version for about a year, I decided to upgrade to support the app. There's not many similar ones out there, and this one is the most user friendly and simple without killing my phone's battery. I've bee looking for such an app for a long time. I've been vegetarian for a very long time and vegan as much as possible for a couple of years now. 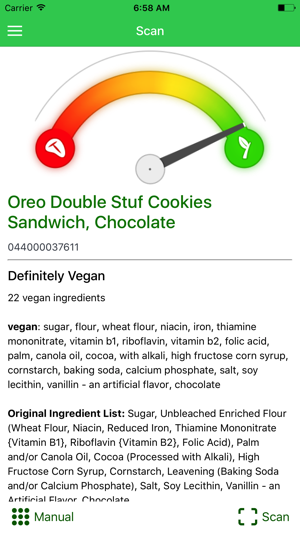 This apps is very helpful on a daily basis, or when trying to figure whether an obscure ingredient name is vegan. Huge thanks to the developers and people making the data necessary behind. Kudos!!! You guys absolutely rock! Suddenly stopped working. Both my wife and I rely on this app daily and it worked great most of the time. We were using the free version and it would just beep after scanning and nothing would happen. Manual entry doesn't do anything either. I paid $5 to get the full version hoping this would help, but to no avail. Then I went to email them from the app for assistance and you can't even click on the email link. What use is that? Please fix this. I really hope they see my review, since I can't email them and make this app great again.